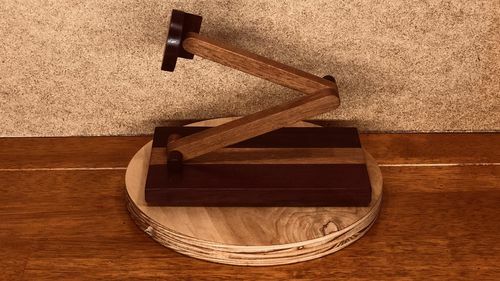 For Christmas last year I decided to make a phone stand out of some purpleheart I have. We have magnetic mounts in the car and I wanted something that worked the same. Magnets are magical and I like to use them whenever I can in projects. I went heavy on the magnets because the surface is so smooth and the hold is plenty strong. It turned out looking pretty good. The wife loves it and I won Christmas this year. Here’s a video of the build. Nice phone mount. Looks good and well designed too. Again added as a favorite as my wife would love one of these. Really cute and useful.